A wedding photo book, printed and bound as a single print or in any number of copies. Thanks to free software from online vendors such as FotoInsight and Printing-1 this has become accessible to everyone. 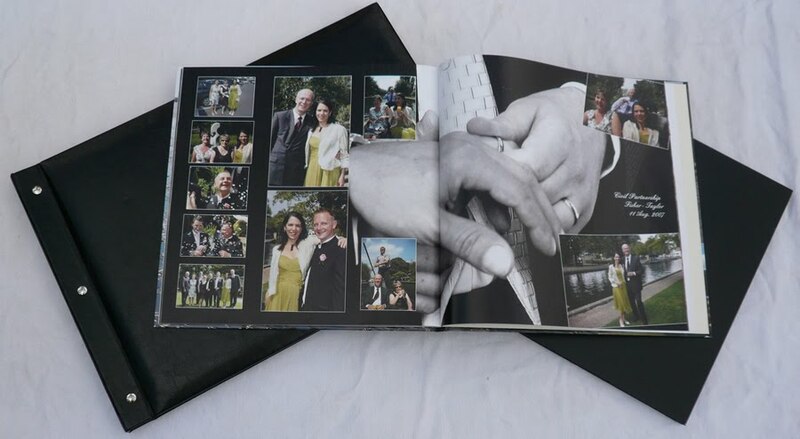 How fast a glossy wedding book can be done and that a wedding photo book in deluxe leather cover is available for under 40.- Pounds is shown in the following article: "wedding photo book - five minutes for eternity." 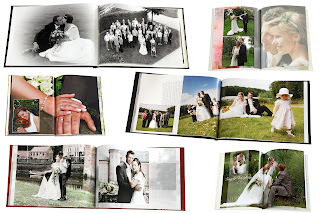 A wedding photobook becomes most interesting taking into account a few design tips: A photo book is basically about telling the "story of your wedding" through photographs. 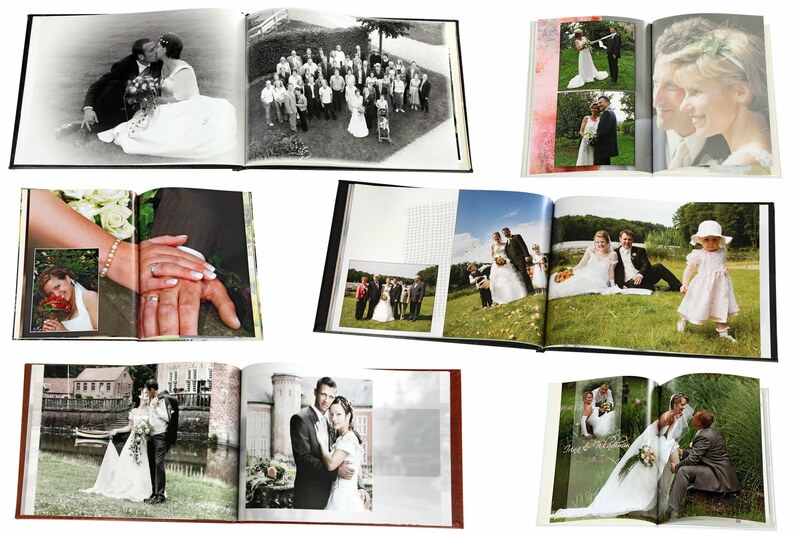 For this it is best to create chronological chapters, like preparations, civil wedding, church wedding, the party etc. 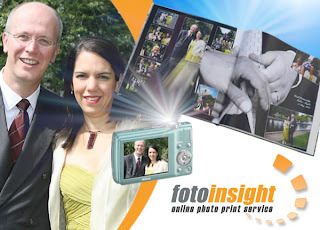 Each chapter might be introduced by an overarching main picture, for example, a photo of the church for the chapter, "church wedding".